You can grab the camera frame and move it around in the Camera view. 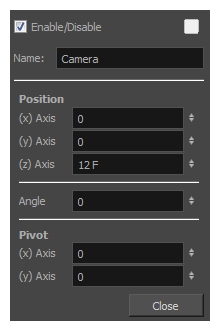 You can also setup the camera position by entering coordinates and values in the Layer Properties view. 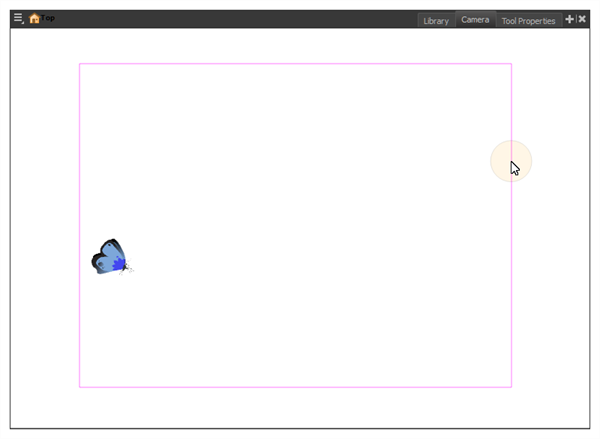 From the top menu, select Animation > Tools > Rotate. 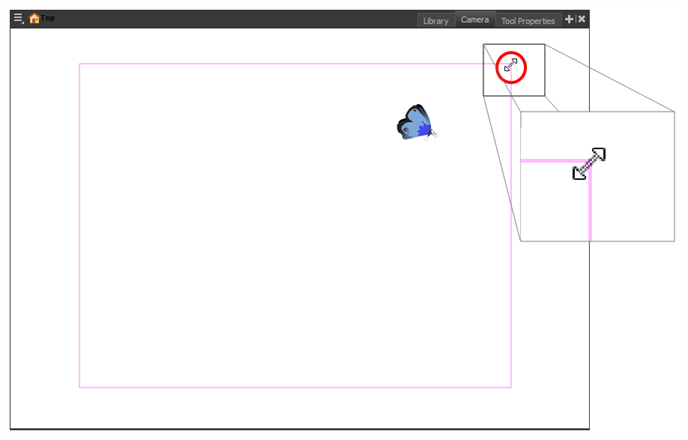 In the Advanced Animation toolbar, select the Rotate tool. 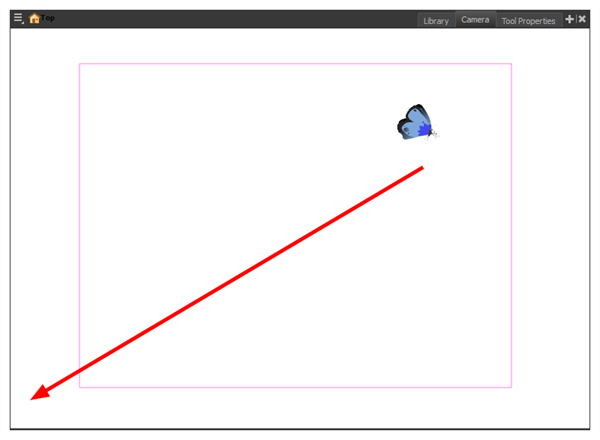 NOTEThe Transform tool can also be used to move the camera, but not to rotate or scale it. Type or use the numeric stepper to adjust the coordinate and angle values—see Camera Layer.